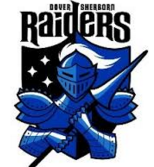 Dover-Sherborn is heading to their 1st state title game since 1981. The Central Sectional Champion, Blue Raiders took down West Champion, Sabis Charter 53 to 36 at Worcester State University Wednesday night. Senior, Brett Stark led the scoring with 24 points for Dover-Sherborn. Senior, John Muckstadt contributed 12 points and 5 rebounds in the Win. Dover-Sherborn improved to 21 and 5 overall with the win. Dover-Sherborn will next take on South Sectional Champion, Bishop Stang in the Division 3 Boys State Finals. The game will take place Saturday March 16th, 12pm at Holy Cross University.